The Norwegian town of Kirkenes and its suburban additions are home to some 8000 people. Across the border – a 40-minute drive (and a border crossing) away – we find the Russian town of Nikel with about 12000 inhabitants. Both towns are industrial: In Kirkenes the iron mine gave impetus to the towns establishment and growth, and in Nikel the ore smelter for the nearby mines was constructed in the inter-war period – at a time when the territory was actually Finnish. The industrial plants loom over each of the respective towns. Despite similarities, they could not look more different. In Kirkenes, painted wooden houses were constructed in a modest style as part of the government’s effort to quickly rebuild after the ravages of the Second World War. These are perceived by the inhabitants to be an important identity marker of the town. The houses in Kola are from the same period and are almost entirely built in concrete and brick. The few wooden houses remaining from the town’s early history are mostly abandoned and falling apart. In wintertime the preferred mode of transport in Kirkenes, after the car, is the kicksled. All families appear to have at least one, and the packed snow on roads and sidewalks provide the ideal terrain for this activity. No such vehicles are evident in Nikel, whose compact urban form, by contrast, facilitates lively urban spaces. The metallurgical plant looms over Nikel (photo: P. Hemmersam). The future of Nikel seems tightly bound to the fate of the metallurgical plant, world market mineral prices, and strategic decisions in company boards far away, while Kirkenes has already proved that despite two shut downs of the mine (with subsequent re-openings), the impact on the local economy and unemployment rate has been limited. Here, the Norwegian welfare state and generous subsidies for small communities and local culture has led to optimism and hopes for an ‘industrial boomerang’ connected to the petrochemical exploration and exploitation in the Barents Sea. 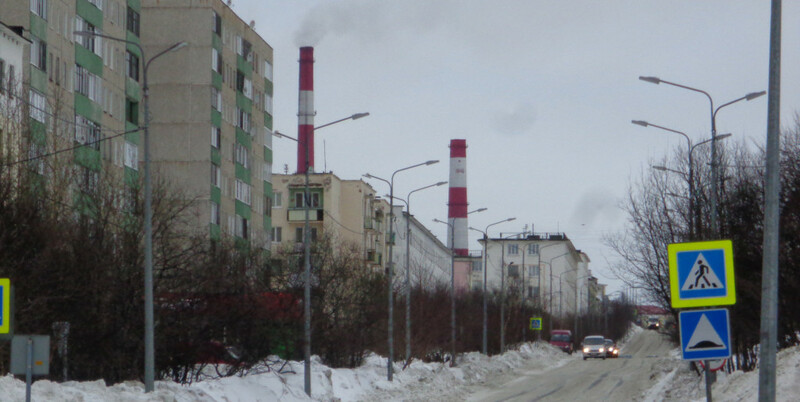 PhD researcher Morgan Ip’s participatory online mapping tool MyBarents shows that the visually menacing smelter in Nikel, along with its toxic emissions, feature prominently in the inhabitants’ current concerns and hopes for the future. In Kirkenes, ethnographic studies by students from the Urban Design: Arctic City studio at the Oslo School of Architecture and Design reveal that the ore processing and shipping facility that dominates the skyline of the town is largely absent in local people’s ideas about the town’s urban future. 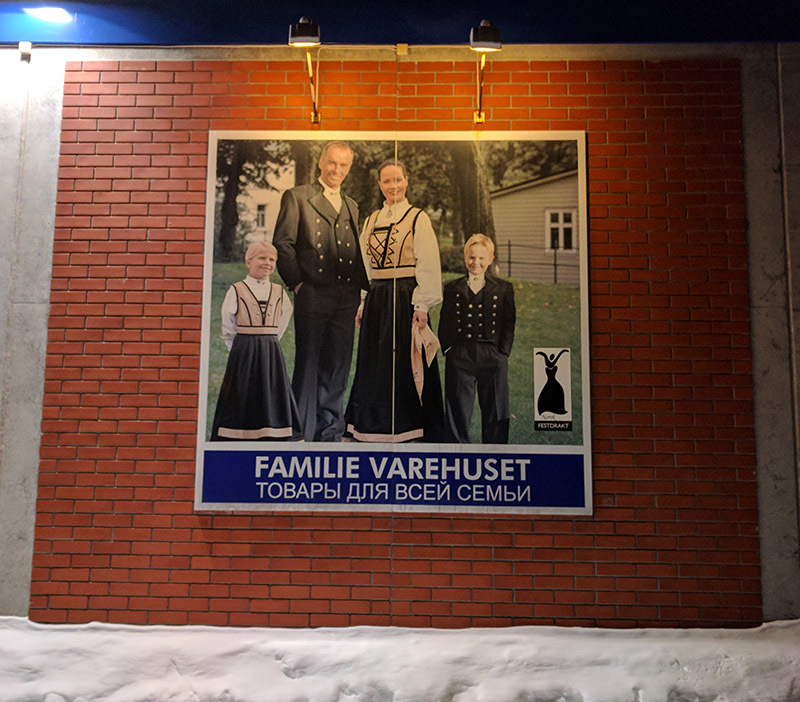 Along with many other things: new housing areas, the hospital, a school, as well as most of the retail and the new harbour, the spaces of future thinking in Kirkenes are no longer found in the town. They are found outside the traditional central district, dispersed over a wider territory, and – for the prospected petrochemical industry – out to sea. Empty spaces are left behind – the empty hospital, abandoned shops – but there is also an absence of ideas. This is reflected as a feeling of loss among the town’s otherwise optimistic inhabitants. As the harbor moves out, heavy traffic through the city center will also disappear. This new emptiness brings new possibilities for rethinking the town – it is a space for future thinking. This potential for adopting entirely new roles is yet to be grasped, conceptualized and exploited by politicians, administrators and citizens of the town. A promise of a bright regional future for Kirkenes (Spareland) (Photo: P. Hemmersam).